Order online high quality 3D CAD models of helical and spur gears for easy 3,4,5-axis CNC machining. How to make correct 3d CAD models of helical and spur gears on YouTube video channel: "spiralbevel". Our software generates gear tooth surface identical to what would be cut on a real gear cutting machine if the input data were used in hob cutter design. 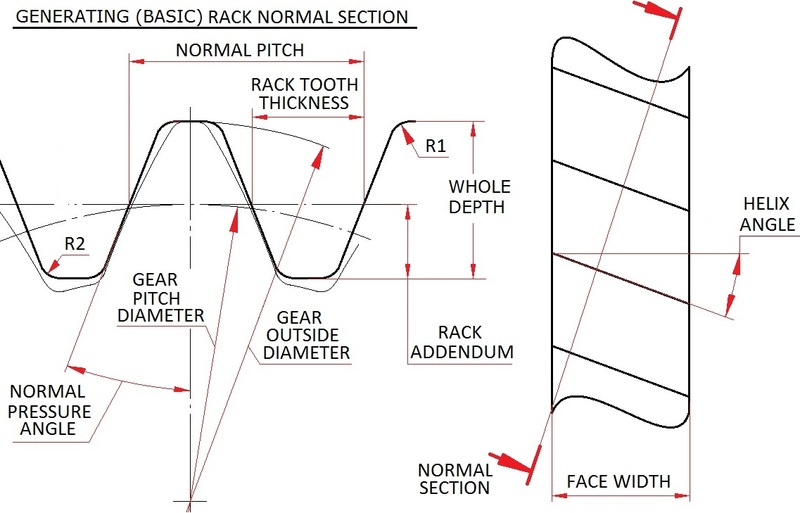 After receiving you order we validate the input data for errors, visualize 3 dimensional model of the gear tooth from your data, examine the 3d model, recalculate the 3d model for additional accuracy, and, produce IGES file of the tooth surface including the root area (undercut) for delivery. Input data into “Buy Now” box.